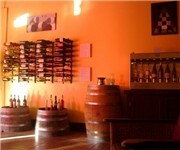 Stave Wine Lounge is a wine bar located in Napa CA. Hours: Mon-Sat. 3:00 p.m. - 10:00 p.m.
How Would You Rate Stave Wine Lounge?